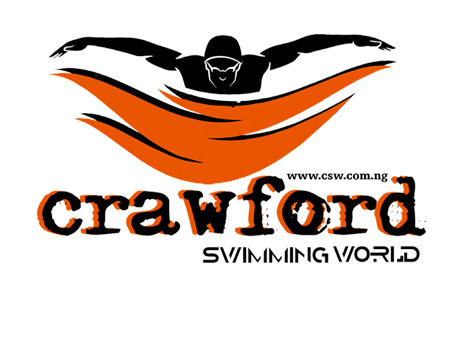 We at Crawford Swimming World will like to appreciate you immensely for supporting the dreams of our young swimmers in Nigeria. You are a rare gem. The swim event will see Age grade swimmers from 7 to 10 years compete for medals and awards within a friendly environment. The competition will hold at the 20 meters swimming pool of the Orchid Hotel, Lekki. The objective of this swim competition is to develop a compendium of Age-grade swimming records for Nigerian children. This swim records will be available online, where possible local and international scholarship boards will leverage on to award deserving kids in Nigeria. The Nigerian Swimming records online portal ( www.swimrecordsng.com ) will remain free, simple and easy to access for parents or swim schools to compare their swimmer’s time and to better understand how your swimmer compares to other swimmers in their age grade. This is indeed a competition that we believe will bring our young stars to the World. Timing will be strictly adhered to at the competition as unregistered swimmers will not be allowed to compete. Swimmers are to arrive at the swim meet between 8:30am and 9:45am. After accreditation, all swimmers will be seated at the designated seating area where they will be entertained with some Olympic swimming videos while waiting for their event. There will be Heat and Finals across all swim events for boys and girls. Swimmers for the finals will be selected based on best time. We implore parents and coaches to focus mainly on the swim time for the swimmers as improvements in subsequent meets will be rewarded. Certificate of participation showing swimmers time will be issued at the end of every swim event. Please ensure that you pick up your swimmers certificate at the end of each race. In the coming week (Before the 10th January) we will place a phone call across to your registered mobile number to clarify some minor errors found with some registrations like gender especially. The last email you will receive before the event will be on the 15th January, 2018, which will be a list of swimmers indicating the Heat and Events they will be participating in. Crawford Swimming World is the brain child of Tayo Orekoya (Mathematician and Former Investment Banker). The company was funded by the Nigerian Federal Government under the YOUWIN Programme and the Tony Elumelu Foundation. We are very excited about the competition and look forward to meeting your swimmers on the 20th January, 2018 as we continue to deepen swimming in Nigeria and develop a great future for the country.